In our development solutions we like to work in process, to prepare the leader, the team, the organization thoroughly then help them in the implementation . 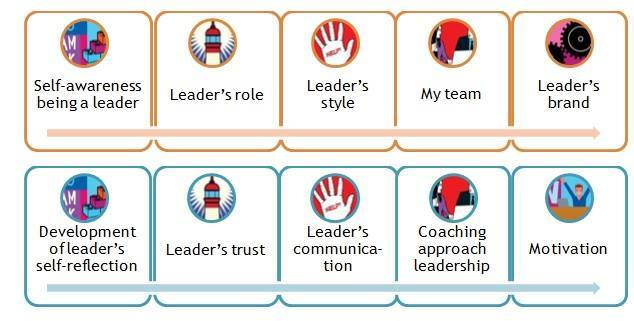 Within the leadership development we offer individual, group and teamcoaching, trainings and workshops. The topics of our leadership programs are developed based on the needs of the organization, the participants. Youth Leadership Academy is the first development program for leaders who are in a young age or who are young in their position. It’s been operating with continuously growing participant number since 2012 and deals with development topics which are relevant in the 21th century. A practice oriented, personalized, modular program that focuses on the leader attitudes’ and competences’ development, and on growing the consciousness of leading. 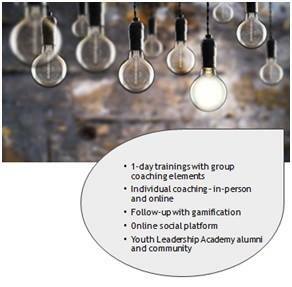 Youth Leadership Academy 2.0 is a group coaching process for leaders who would like to deal with their dilemmas with the support of a group and who would like to develop themselves with self-reflection and conscious self-improvement. During the sessions we work together on the case of one or two participants. With the action-oriented methodology we use space, dramatical tools and our creativity. We experiment, we act, we try. The participant who brings the case experiences the feeling when everyone is working on his case, gives him energy and helps him solve his problem. 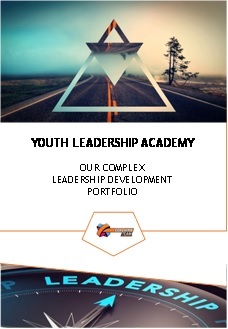 The program is complex and tailored, developed by the expert team of the Youth Leadership Academy. (eg. : negogiating with clients, holding persuasive presentation etc.). Being a pro in key competencies doesn’t only contribute to effectiveness. We believe that becoming a pro gives pleasure, sense of achievement which enhances commitment. It’s a competitive advantage both on individual and organizational level. While our Youth Leadership Academy – running successfully since 2012 – navigates the participants through the range of leadership skill, Youth Leadership Academy Expert develops one key competence at a time in each session. The aim is to help the participants to become from amateur to pro. 6 sessions course every second Tuesday between 8:30 and 10:00. Maximum number of participants: 6. For those who would like to improve their english knowledge while getting inspired and learn from the actual leadership topics with the help of the most famous TED and ‘Commencement speech’ performer’s videos.